Today I have spent quite a bit of time finding a good location for a den trap and hollowing out a log for a tunnel. An old, rotten one will serve fine I hope. For information on making a more advaned one I recommend “Survival Poaching” by Ragnar Benson. The reason why I choose such a trap in the valley is that it is not lethal to the hunting dogs used in the valley. The location is a fair distance from where people frequently go, so not to scare the fox from using it. Maybe a bit far from human habitation for badger, but it’s proximity to the river might attract mink. 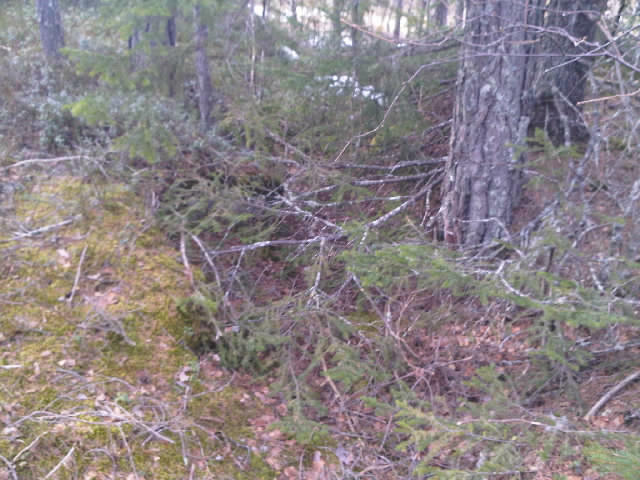 I have also seen marten tracks there on a previous occation. 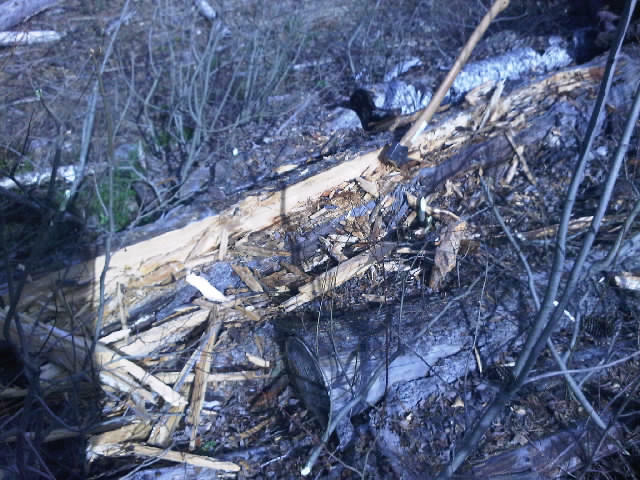 The pics are of the rotten log and the site. Virtually no need for digging, but a slight risk of flooding. Good to see you back posting.. I bought the book, Survival poaching, on Torjus’ recommendation, and couldn’t be more pleased with it.